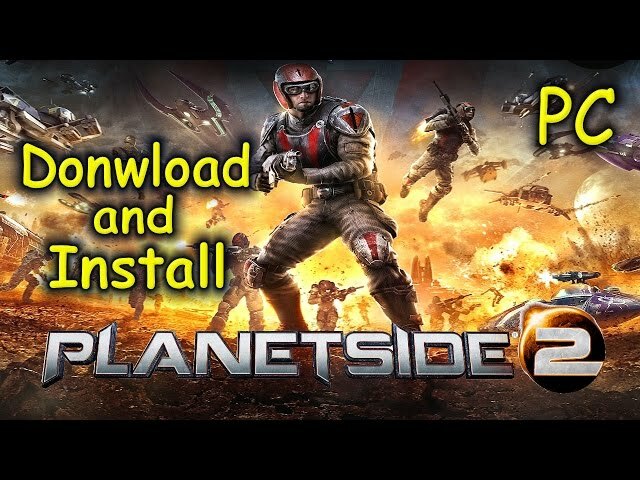 PlanetSide 2 is a free-to-play massively multiplayer online first-person shooter published by Daybreak Game Company and released on November 20, 2012. It is a sequel of PlanetSide which originally released in 2003. 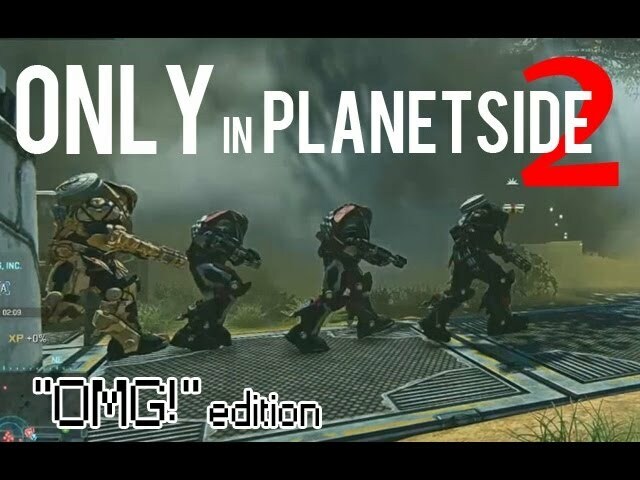 PlanetSide 2 takes all the groundbreaking features from the original game – massive multiplayer battles, distinct empires to rally around, and enormous continents where intense ground and air combat unfolds – and adds features that modern gamers have come to expect out of the FPS and MMO genres. Across the continents of Auraxis, thousands of players will come together in enormous battles to win control of critical territories and key resources for their empire. With a an extensive skill tree and free-form class-based system, players will be able to customize their soldier, weapons and vehicles to match their play-style, as well as the needs of their squad, outfit or empire. THREE WARING EMPIRES: Players will choose to align with one of three unique Empires – the militaristic, authoritarian Terran Republic, the rebellious, freedom-fighter faction New Conglomerate, or the technocratic, alien-influenced Empire Vanu Sovereignty. Each Empire has access to unique weapons, attachments, vehicles, abilities, and more. MASSIVE WARFARE: Battles take place not between dozens of troops, but hundreds; with air and ground vehicles slugging it out alongside squads of troops. Each battleground holds valuable resources and key positions, and the Empire that can conquer (and manage to hold) these territories are rewarded with tech bonuses, greater access to equipment, and more. ENORMOUS MAPS: PlanetSide 2 features four incredible and diverse continent maps with dozens of square kilometers of seamless gameplay space; every inch of which is hand-crafted, contestable space. Whether in open fields, tightly-packed urban centers or enormous outposts, victory requires calculated teamwork and a quick trigger finger to survive the massive battles. PERSISTENCE THAT PAYS: In PlanetSide 2 the war isn’t won by a single base capture. The core gameplay of PlanetSide 2 is about holding crucial territories and controlling resources. Working strategically as a team to secure tactical positions, such as power plants and ammo depots, has long-lasting effects that can shift the tide of battle and provide key rewards and bonuses. CLASS-BASED COMBAT: Players can build their soldier to match their play-style, as well as the needs of their squad, outfit or Empire. With six distinct classes to explore, each combat role, vehicle and weapon has extensive skill trees that will allow players to grow characters laterally, unlocking hundreds of weapons, attachments, equipment, specialized skills, vehicles, and more. Play as one of six distinct classes: Heavy Assault, Light Assault, Combat Medic, Infiltrator, Engineer and MAX. VEHICLES & WEAPONS: Players are able to access a huge array of weapons and vehicles which can be extensively customized for player preference or purposed with unique attachments and add-ons earned in game to fit each player’s style.